Russia and Ukraine exchange Savchenko for Yerofeyev and Aleksandrov | Russian Legal Information Agency (RAPSI). 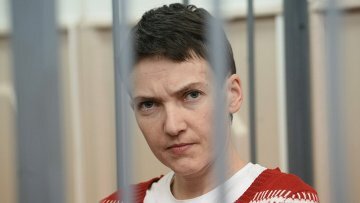 MOSCOW, May 25 (RAPSI) – On Wednesday Russia and Ukraine proceeded with the exchange of convicts between the countries, allowing Ukrainian national Nadezhda Savchenko, convicted in Russia of the murder of two Russian journalists, to return to Ukraine, RIA Novosti has reported. Two Russian nationals, Alexander Aleksandrov and Yevgeny Yerofeyev sentenced for terrorism to 14 years in prison by Kiev court were pardoned today by Ukrainian President Petro Poroshenko and returned home. Savchenko, in her turn, was pardoned by Russian President Vladimir Putin. Transfer of Savchenko to Ukraine along with transfer of Aleksandrov and Yerofeyev to Russia took place in compliance with the European Convention on the Transfer of Sentenced Persons, according to Chair of the Federation Council Valentina Matviyenko. 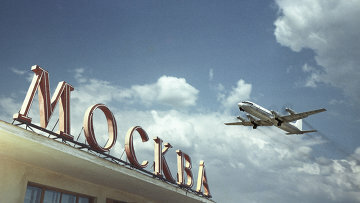 The plane with Aleksandrov and Yerofeyev on board has already landed at the Vnukovo airport, Peskov told journalists. Earlier on Wednesday, Aleksandrov’s lawyer Valentin Rybin told journalists that petition for pardon of Aleksandrov and Yerofeyev had been forwarded to Ukraine's President Petro Poroshenko. Ukrainian authorities claimed that Aleksandrov and Yerofeyev were captured in an eastern region of the country during an attack on a bridge on May 16, 2015. In April, the Goloseyevsky District Court of Kiev sentenced Yerofeyev and Aleksandrov to 14 years in prison each for terrorism. 15:36 25/05/2016 On Wednesday Russia and Ukraine proceeded with the exchange of convicts between the countries, allowing Ukrainian national Nadezhda Savchenko, convicted in Russia of the murder of two Russian journalists, to return to Ukraine.